Jenn and Romy: Romy is so sick! Romy is so sick today! He woke up with a sore throat, just like me on Monday. 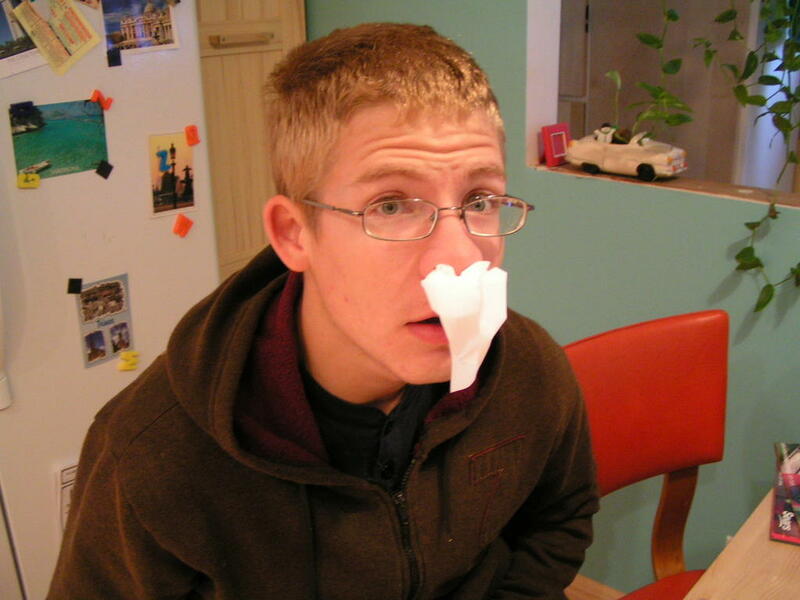 He has a signature trademark of sticking a kleenex up his nose when he is sick, so that the snot doesn't run out everywhere! Ewwwww. . .
Well, he didn't want me to take this picture, oh well! Hopefully he will get better soon! And he just woke up too. "boo this picture, I said not to take it!"